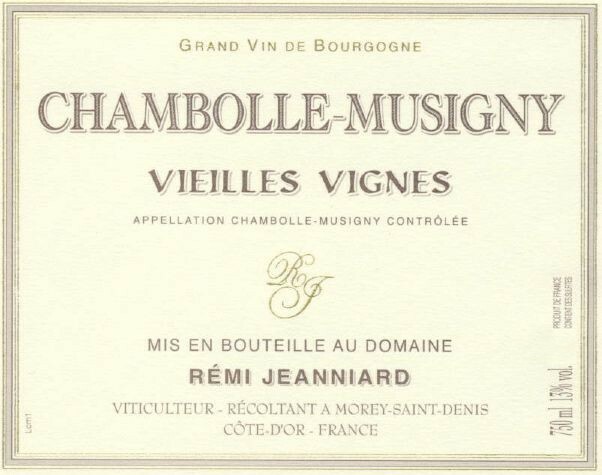 Domaine Rémi Jeanniard, an estate of modest proportions for a modest man, comes from the plot of land his father split between him and his brother upon retiring in 2003. His first bottling was in 2004. 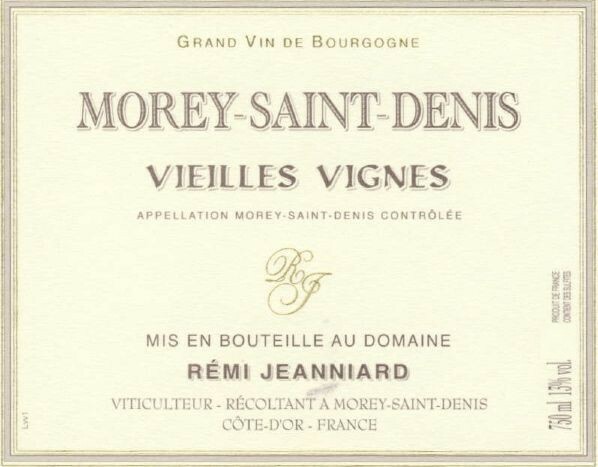 The domaine is located in Morey-St.-Denis, in the heart of the Côte de Nuits, with plantings in Morey St. Denis, Gevrey Chambertin, and Chambolle Musigny. Rémi painstakingly tends to his six hectares of vines, with the pride one expects from the heir to a family fortune of old vines. He practices sustainable farming, pruning in Spring to control yields, regularly working the vines to prevent the soil from settling, and refraining from the use of chemical fertilizers. 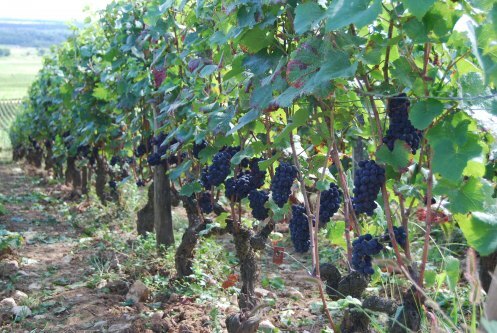 In July, a green harvest is practiced in order to intensify the aroma and richness of the grapes. Grapes are handpicked selectively, and are fermented using only natural yeasts, before being bottled without filtering or fining. He prefers to use very little SO2, choosing instead to preserve the wine’s freshness with carbonic gas, and uses barrels from Central France, the kind he believes best preserve the wine’s delicacy. From three different vineyards: Pres de Longeroies (planted 1951), En Seuvrey (planted 1961) and Corve crenille (planted 1950). The grapes are hand-harvested at the end of September, undergo sorting in the vineyard and then spends two weeks of spontaneous fermentation in steel tanks with indigenous yeasts. A part of the lees remains with the wine for one year. Aging occurs in used oak barrels for one year to allow micro-oxygenation of the wine and to contribution natural tannins derived from the wood. Lightly filtered. From a single parcel which was planted in 1953, the Pinot Noir grapes are hand-harvested in mid-September, undergoes pre-fermentation cold soak maceration with 20% whole bunches followed by fermentation for three weeks in stainless steel tanks with moderate pigeages. Aged in 100% oak for 10 months, average age 3-5 years. 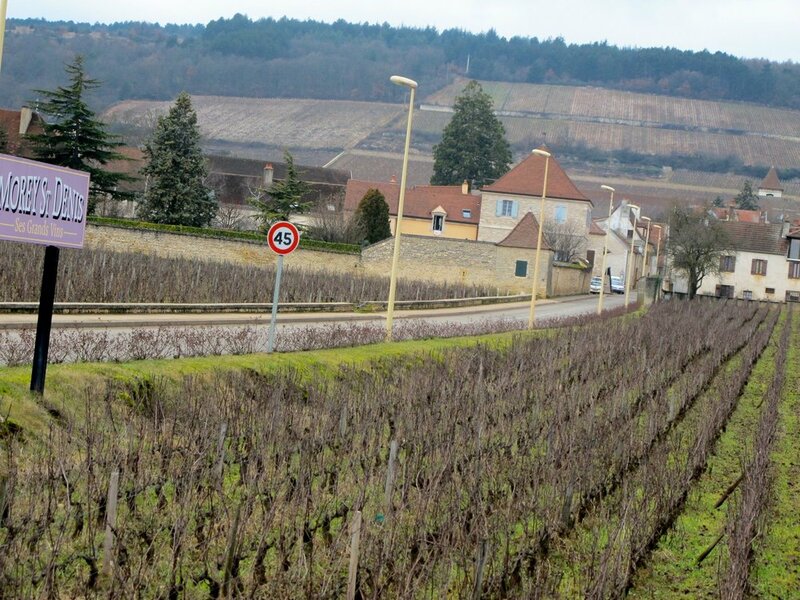 From three vineyards: ‘Très Girard’ (planted in 1920), Clos Solon Très ( planted 1945), and ‘Clos des Ormes' (planted 1951 and makes up 2/3 of the blend). All the grapes are hand-harvested in mid-October and sorted in the vineyard, then de-stemmed, undergo pre-fermentation cold soak, and allowed to ferment in stainless steel tanks for three weeks. Aged for one year in oak barrels with 20% new oak - light filtration. Quoted in the Hatchette Guide 2016. Hand-harvested in mid-September from three parcels: Les Chardannes (planted 1920-1975), Les Drazeys (planted 1925 and 1960), and Les Herbues (planted 1950). The grapes undergo pre-fermentation cold soak for better extraction where 20% are whole cluster, then followed up by three weeks fo fermentation in stainless steel using indigenous yeasts. Aged in oak barrels for one year with 20% new oak and light filtration. Listed in the 2011 Hachette Guide des Vins. From a single parcel of about a third of a hectare, planted in 1945 on deep sandy-clay soils with large, round pebbles, these are hand-harvested with sorting in the vineyard. The grapes undergo pre-fermentation cold maceration, followed by a three-week fermentation with 20% whole bunches, with pigeage or pumpovers when necessary. Only indigenous yeasts are used. Some of the lees are left in contact with the wine for 1 year. Aged for one year in oak before light filtration and bottling. From a single parcel of about a third of a hectare, planted in 1951 on deep sandy-clay soils with large, round pebbles, these are hand-harvested with sorting in the vineyard. The grapes undergo pre-fermentation cold maceration, followed by a three-week fermentation with 20% whole bunchs, with pigeage or pumpovers when necessary. After pressing, the wine is moved to 50% new barrels. Aged for one year before bottling - unfiltered. From the vineyard ‘Les Ruchots,’ these vines were planted in 1969 on about a quarter of a hectare of flat land. The soil is ochre in color, lightly rocky and gives rich, silky, full-bodied wines with a long finish and a complex flavor profile. Grapes are hand-harvested with sorting the vineyard and transferred to steel tank to undergo cold maceration, followed by a three-week long fermentation using 30% whole cluster. Pigeage and pumpovers are used when necessary, after which grapes are pressed and moved to 50% new barrels to age for about twelve months. Aged for a month before bottling - unfiltered.